The Founding Fathers of America have some of the most intriguing and endearing stories that you will ever read. There were many people who fought in the Revolutionary War and many others who helped define the ideas and principles of the new government of the United States of America. To many others, the duty fell to implement the new government. So the first question to ask is, "How do we define what a Founding Father is?" 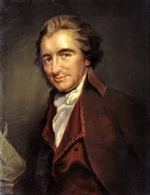 For the purposes of this website, we define the Founders to be those who had a substantial impact on the gaining of independence from Britain, upon the birth, growth and development of the ideas of the American Revolution and the securing and implementation of those ideals into a stable, independently functioning nation. Who are America's Founding Fathers? There are several very distinct groups of people that fall into this category that we can call Founding Fathers. They include the 56 Signers of the Declaration of Independence, the 14 presidents of the Continental Congress from 1774-1789, five dozen or so generals and officers of the navy that physically secured freedom for the new states, the early governors of the states, the 55 members of the Constitutional Convention who created the United States Constitution and the figures who were leading voices in the state Constitutional Convention debates to ratify the new Constitution. This group also includes the 91 members of the First Congress who passed the Bill of Rights, the members of George Washington's and John Adams' cabinets, who were tasked with turning the ideas of the Constitution and Bill of Rights into a real living and tangible reality, the earliest members of the Supreme Court, a few others who do not fit conveniently into any of these categories, such as Paul Revere, Ethan Allen and Noah Webster and various women who are considered to be "Founding Mothers" because of heroic acts performed during the war or for other contributions. Without the contributions of any of these groups of people, the United States likely would not have become what it is and may not have survived at all. Thanks to all of these Founding Fathers and Revolutionary War heroes who sacrificed their lives and fortunes for a better life for themselves and their descendants... you and me! On this page you will find the names of these Founding Fathers of the United States of America. Some of the names are linked to fuller biographies and information about that particular Founding Father. A few of the names appear in more than one category because of the multiple responsibilities held by many of them. It is the hope of the "Minuteman," the editor of this website, to create biographies of ALL of these Founding Fathers at some point. There are, however, so many of them that they are not all yet complete. 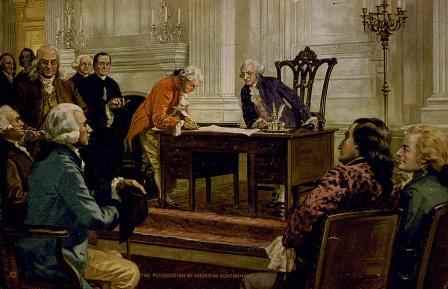 The 56 signers of the Declaration of Independence undoubtedly deserve to be in our list of Founding Fathers. They are the ones who decided it was ultimately time to break with Great Britain permanently to forge a new nation. They pledged to give "our Lives, our Fortunes and our sacred Honor," in order to live in freedom and throw off the oppression that was being forced on them. 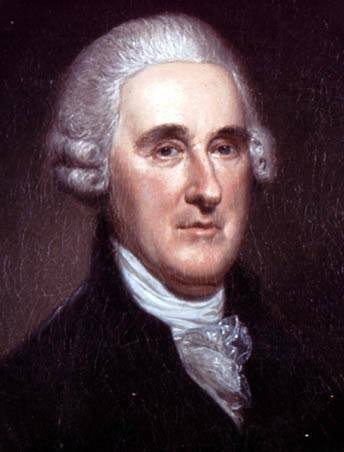 Men such as Benjamin Harrison, who led the discussions leading up to the signing of the Declaration of Independence and whose son and great-grandson later became Presidents of the United States, George Clymer whose family hid in the woods while British soldiers ransacked his home, Thomas McKean who served as President of the Continental Congress, Governor of Delaware and Chief Justice of the Pennsylvania Supreme Court and Francis Lewis of New York whose home was destroyed by the British and whose wife was captured and held in a British prison where she became very ill. Though she was eventually released, she never recovered and died as a result. These and other great stories can be found by reading the biographies of the Founding Fathers below. Test your knowledge of the signers of the Declaration with our Declaration of Independence Signers Crossword Puzzle here. The Continental Congress was the governing body of the United States from 1774 to 1789 when the US Constitution was adopted. The Presidents of Congress were chosen by the other elected representatives to serve as a moderator, figurehead and administrator of the official business of Congress. 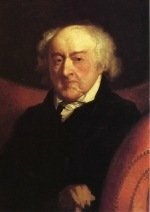 As such, these men played a pivotal role in the original break from Great Britain, the execution of the Revolutionary War and the years during which the new nation was governed by the Articles of Confederation before the Constitution was adopted and deserve to be in our list of Founding Fathers. The Revolutionary War could not have been won if it were not for the men who actually led the Americans into battle against the British forces - the most powerful military in the world at the time. These five dozen or so generals and naval commanders should certainly be included in our list of Founding Fathers. Without them, the war for independence could not have been won. Most of them were generals in the Continental Army, while some were important generals over state militias. You probably know that George Washington was the Commander-in-Chief of the Continental Army of the United States, but there are many other interesting figures of whom you may not have heard. Major General Nathanael Greene was one of George Washington's best strategists and led the Continental Army's successful campaign against the British army's invasion in the South. 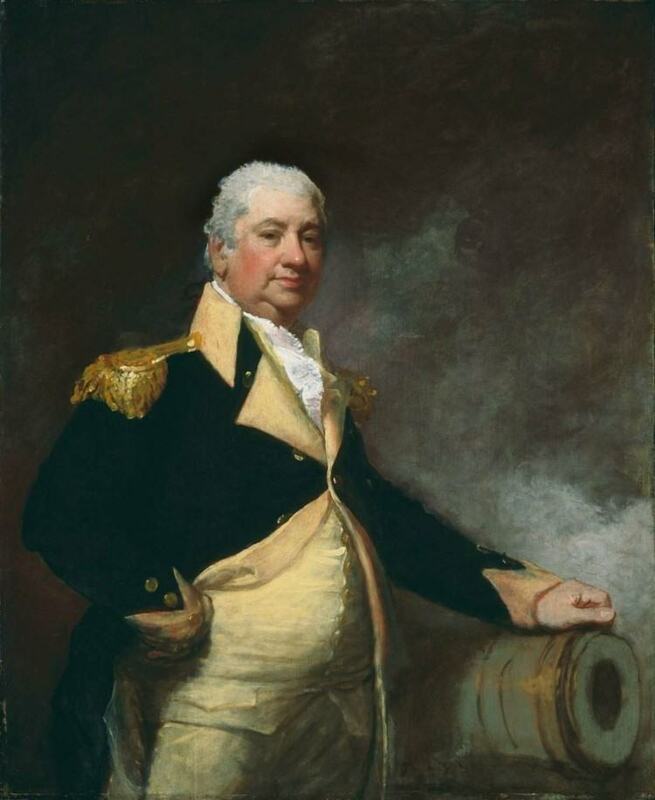 Major General Henry Knox was a bookstore owner in Boston before the war. He studied military history and became Washington's chief artillery officer. 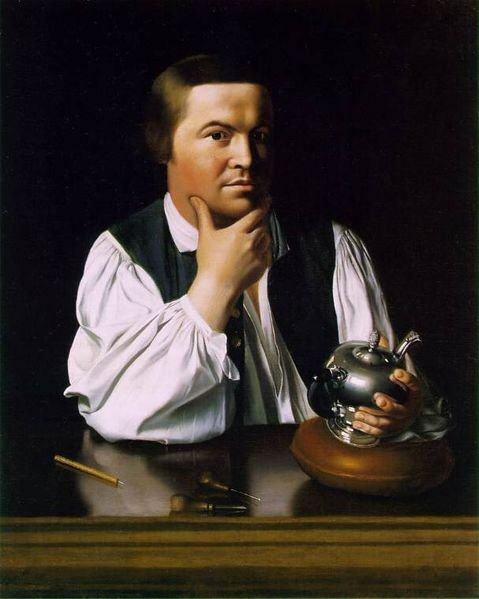 He is probably best known for organizing the transport of 60 tons of cannons that were captured at Fort Ticonderoga across the snow and ice covered New England mountains to assist in the Siege of Boston. The cannons were a decisive factor that made British General William Howe abandon the city. Major General Benjamin Lincoln of Massachusetts served in several major battles of the Revolutionary War. He was injured at the Battle of Bemis Heights and was present at the surrender of British General John Burgoyne at Saratoga, a major turning point in the war. As second-in-command to George Washington, he accepted British General Charles Cornwallis' sword as a token of surrender, which was delivered by Cornwallis' second-in-command. left off of this list. The 55 members of the Constitutional Convention are among the most important Founding Fathers of the United States because they proposed the ideas for the Constitution, debated their merit and wrote the final document. This single document is the basis of the entire system of the United States government. 39 of these men signed the final document. The 16 members who did not sign mostly chose not to do so because they still believed the Constitution would give the central government too much power over the states without a Bill of Rights added to it. Nonetheless, their names are included in our list of Founding Fathers because of their contributions to the document. Most of them later came to support the Constitution after the Bill of Rights was added to the document by the First Congress. The names with an (*) asterisk beside them are the men who did not sign the final document. After the Constitution was written by the Constitutional Convention in Philadelphia, each state began its own ratification proceedings to choose whether or not to accept the Constitution. Nine states had to vote to accept the Constitution in order for it to go into effect among those states. Eventually all 13 states voted to ratify the document. Once the Constitution was written, it was sent to the states for ratification and each state called its own Constitutional Convention. There were many voices against the Constitution and many in favor of it. Those voices that were strongest in supporting the ratification or were very influential in persuading the people in favor of the Constitution are included in our list of Founding Fathers. Many were state governors, prominent legislative leaders or writers and pamphleteers in their prospective states. These are certainly to be included in our list of Founding Fathers, because without their support, the Constitution and thus, the United States of America, would not have come into existence as we know it. Some names on the list led the opposition against the Constitution, but their names are included nonetheless because of their contributions to the debate. Many made valuable points in considering the new constitution and contributed ideas that were eventually included in the Bill of Rights. Nearly all of the detractors eventually supported the Constitution after it was adopted, in spite of its imperfection, and many went on to serve in various positions in the new government or at the state level. When people think of the Founding Fathers of America, they usually think of national leaders, such as those who served in the Continental Congress or the Constitutional Convention. We should keep in mind though, that during the Revolutionary War, all thirteen colonies lost their governments and had to form new ones. This was an extremely volatile time in each colony and the future was very uncertain at this point. The men who were placed at the helms of these new state governments were crucial leaders in the development of the new nation. These Founding Fathers were charged with administering the governments of their new states and supporting the war effort in the face of great danger. Once the new Constitution was created, many of these governors led the way to ratification in their prospective states, not to mention the fact that once the Constitution was ratified, they had to try to create stable state governments that would cooperate with the federal government in the manner which the Constitution prescribed. 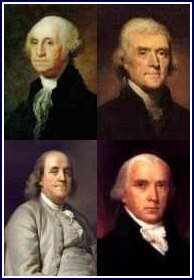 These men were extremely important Founding Fathers during the process of creating the United States of America. The First Congress of the United States should be included in our list of Founding Fathers because they were charged with taking the ideas of the Constitution and actually creating an actual government based on them. They should also be included because of their introduction of the Bill of Rights to the end of the Constitution. Before accepting the Constitution, many citizens were very concerned that it gave the federal government too much power at the expense of the states and individuals. Many called for a Bill of Rights to be added that would enumerate specific rights that the federal government could not violate - things such as freedom of speech, freedom of religion and freedom of the press. Supporters of the Constitution vowed that the First Congress would address these concerns if the states would accept it. In the end, this promise swayed enough detractors to change their votes to yes and the Constitution was accepted. 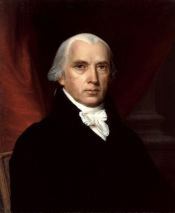 Fulfilling this promise, James Madison introduced 20 amendments that included the most popular suggestions from the states. 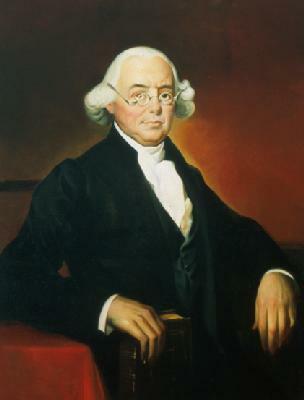 The First Congress voted to approve twelve of these amendments, which were then given to the states for ratification. Ten of them were eventually passed by the states. These first ten amendments are known as the Bill of Rights. The cabinet members of the first two Presidents should also be included in our list of Founding Fathers because, as the administrative branch of government, they had to turn the policies of the Constitution and the First Congress into actual reality. Many of the other Founding Fathers, such as the signers of the Declaration of Independence and the signers of the Constitution, dealt with ideas. The cabinets of Washington and Adams had to actually do something with those ideas. Had they failed to turn those ideas into realities, the American experiment would not have succeeded. Great thanks is due to these Founding Fathers and of course to President George Washington and President John Adams for leading them. 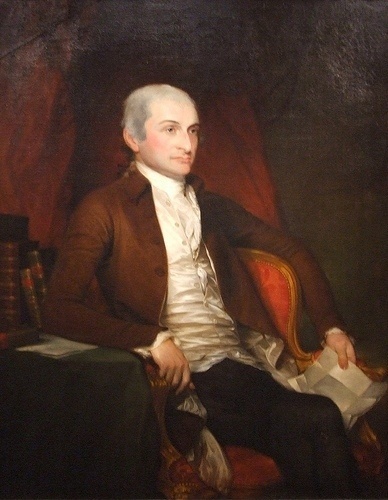 *succeeded by Oliver Wolcott, Jr.
Secretary of the Treasury - Oliver Wolcott, Jr.
George Washington nominated the first justices to serve on the Supreme Court and the first Senate confirmed them. The first Supreme Court justices and especially the first Chief Justice, John Jay, are extremely important Founding Fathers because they helped interpret the Constitution in the republic's earliest challenges and conflicts. Due to retirements and other reasons, both Washington and Adams nominated several other justices beyond the first six chosen by Washington. We will use all the justices of the first decade, up through Chief Justice John Marshall who was elected in 1801, for our list of important Supreme Court Founding Fathers. The Supreme Court remained the weakest branch of the government for its first decade. Chief Justice Marshall is largely responsible for defining the Court's powers and turning it into the powerful branch of government it is today. These Founding Fathers do not conveniently fit in the other lists on this page. Nonetheless, each had a significant role during the founding period of the United States. Although they are not Founding Fathers, many women performed heroic acts during the Revolutionary War, such as taking up arms, spying on British soldiers and delivering messages through hostile territory. Others contributed by writing inspiring books or pamphlets that encouraged Americans to continue in their fight for independence, organized supplies and protests or encouraged their politician husbands in the quiet of their homes when the British put prices on their heads. Although they are not Founding Fathers, these Founding Mothers deserve a place on our list of important Founders of the United States. One such woman is Betsy Ross. You may know about the Betsy Ross Flag, but did you know Betsy Ross lost two husbands to the Revolutionary War or that she was called the "Little Rebel" by British soldiers who occupied her house during the occupation of Philadelphia? Read all about Betsy Ross at our Betsy Ross Facts page.